I’ve been decking my halls lately. The cats have been de-decking almost as fast as I can deck—every morning I have to gather the ornaments from under the couch and in the kitchen. It gets dark lately around four in the afternoon, so I’ve been getting a lot of use out of these strands of lights. 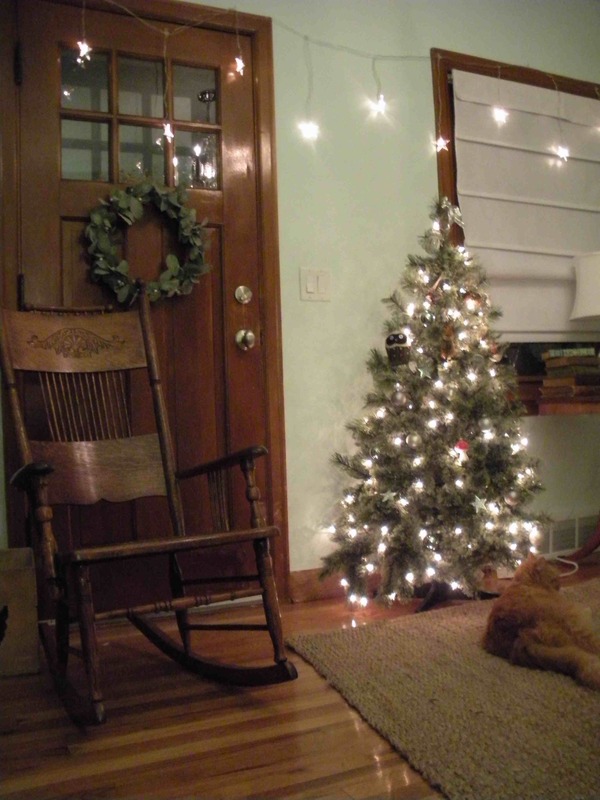 It was totally worth reorganizing my living room to make room for this little tree. I love it. With snow on the ground now, it’s all quite festive…and it’s going to be about fifteen times more festive after a blizzard passes through tomorrow night. I guess if I’m snowed in, I’ll just have to watch The Muppet Christmas Carol and read YA fiction all day. Maybe even make some gingerbread men—you know, to keep me company.